We’ve been shortlisted for a LACA award! By ISS Education on June 8, 2017 in Our blog! We are delighted to announce that ISS Education has been shortlisted for a Lead Association for Catering in Education (LACA) Award in the Nan Berger Memorial Award category. 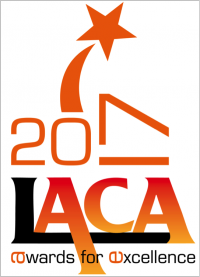 The LACA awards recognise excellence in the school catering industry. The Nan Berger Memorial Award is named after Nan Berger (1914-1998) who was a founding member of LACA and played a pivotal role in the organisation’s progression and to the evolution of the school meals industry more broadly. The award recognises excellence in the field of innovation, accreditation and/or collaboration and actions which have led to raising the profile of school meals. Our nomination focused on the recent work we have done on the Professional Standards and the steps we have been taking to embed the standards into our employee development programmes and overall work culture. In the nomination we recognised that the success of school meals relies on the people who are serving them. Through integrating the standards with our iLearn development programme, introducing the standards to our recruitment processes and looking at how we can recognise employees as they reach each of the “know it”, “show it” and “live it” stages, the nomination demonstrates our efforts as an organisation to raise the profile of school cooks, both in their eyes and those of our customers and the general public. We have worked in collaboration with LACA and the industry throughout our journey to explore how the standards can be implemented successfully and have led the charge in implementation. Winners will be revealed at the LACA Main Event Gala Dinner, which will take place at the Hilton Birmingham Metropole on July 6th. We’ll be keeping our fingers crossed until then! Take on the 5-a-day challenge! Kicking off the Football World Cup!